Quote Reply Topic: Considering an investment in coins? Let me first say, that I do NOT recommend coins as an investment. If you build a collection that appeals to you, your collection will never disappoint you. There are plenty of cases in which coins have made great gains, and proved to be a great investment over time. There are also many cases in which coins have proved to be a horrible investment. 1. KNOW your coins. You need to be good at understanding the grading process of coins. You need to know the population of the coins. You need to know the market for your coins. You need to know the true value of your coins. Despite all those who spout off little facts about the coin market, if you do not know your coins, you will more than likely fail. 2. Stick to rare coins. Coins that stand out (and have) are coins that are rare. This has nothing to do with the grade of the coin. Rare coins are rare because there are relatively few of them. 3. Long term is best. The best collections were built over time, and were sold long after being assembled. IE: Bass, Eliasberg, Boyd, Carter and others. 4. Buy the best coin for the money. 5. Know your dealer. This is one of the most important parts. All of the great collections were built using a few trusted dealers. A dealer can help you determine how well a coin fits within the grade assigned, and can help your determine the true market. Now this does not mean that you should use his/her word as if it were etched in stone. Building a relationship with a dealer (or few) is much like building your collection. It takes time and patience. However, it will be one of the best moves on your part if you follow this advice. 1. Dealers who spout off about rising gold and silver prices. 2. Dealers who spout off about the collectibility of a series. 3. Dealers who spout off about potential investments. I agree with two of your advice points, and two of the pitfalls - but not with your general premise. I believe that rare coins can be an excellent investment. Yes, many have been and will be burned by unscrupulous dealers and fast buck artists who hype coins only for their own personal gain. The full page ads appearing in many national newspapers last weekend hyping the "limited supply of modern $5 gold pieces" at high prices is yet another example. But there are those who do a credible job of offering quality material to investors who know little, nor need to know much, about coins. Second, investors (as distinguished from collectors) absolutley need to know their dealer or the firm selling them a portfolio, and they do need to stick with "rare" coins. (I define rare coins as those which are not modern conditional rarties. Thus, rare coins would be those minted prior to 1933 - with some exceptions.) And by knowing the person recommending coins as an investement, I mean knowing why that person believes the coins he/she recommends will go up in value. I would want to know what basis underlies that belief. If it's simply "years of experience" selling to collectors and nothing more, as an investor I would think twice. Long term is indeed best for coins if nothing else than because the bid/ask spread has to be overcome before an investor can hope to make a profit. Also, coins are taxed at a 28% capital gains rate. Thus, a minimum holding period of five years is recommended. I don't agree that buying the best coin for the money is always wise. Our research has shown (counter intuitively, but as they say the numbers don't lie) that lower grade uncirculated coins (62 and 63 in some series) have in many cases actually performed better than MS65. I wonder if it has ever ocurred to anyone that dealers make more money selling MS65 than MS63 coins (higher price means higher margin) and that perhaps some of the "wisdom" of numismatics (buy the best coin you can afford) is in part to benefit dealers? Yes, the extremely rare coins DO go up in value substantially over time - but who but the wealthiest individuals can afford those coins. Let me give a real world example. In tracking more than 1,000 coins over an eight month period, results were as follows: (Note: overdates and varities were not included, nor were coins with an initial price over $25,000). In testing a smaller number of coins over a 3 and 1/2 year period, we found similar results. The whole point of this exercise is not to deride you or anyone else. Your points are the same offered by every other competent dealer in the industry. David Bowers makes the same points as you in his most recent book on investing in rare coins. But, very few people have actually analysed the data from the investors side of the table in an attempt to separate fact from fiction. I don't agree that buying the best coin for the money is always wise. You will notice that I did not state any grade. My point was, that it is far better to buy 1 coin for $100 than 10 coins for the same $100. As for making more money by selling higher grades, well that really depends on what you paid for it, and what you sold it for. Your points are the same offered by every other competent dealer in the industry. I would think that if every competent dealer stated the same thing, that at some point, the people on the outside looking in, would figure out that maybe we know what we are talking about. I think there are two sides - collecting and investing. Collectors' desires and demands may be very different than what investors demand and desire. Because the industry has been mostly focused on the collecting side does not mean all collecting side wisdom applies to the investing side. As a coin collector, I buy certain coins or series because I love them - not as an investment. But if someone is to invest in coins, there had better be more than collector side experience and gut feel to back up recommendations. It strikes me that you assume a slightly different definition of the word investing than the traditional concept. I'm not saying there is anything wrong with that, just that it is different. Based on what you are proposing and by using your methodology to determine which coins to purchase - it seems that what you are suggesting is that one should "trade" coins - not "invest" in them. To trade coins implies that one only buys them for a short period of time and then sells them in order to realize a profit. Of course the purpose of an investment is to realize profit, that is undeniable. When a coin was minted ( its age ) has absolutely nothing to do with determining its rarity or its value. And condition rarity exist for all coins regardless of age. Condition rarity is not simply a modern peculiarity - it is a universal attribute. For example, take Morgan dollars. The coins themselves are as common as dirt - they are in no way rare. But yet huge prices have been paid for examples in higher grades - condition rarities. The same is true of any coin you care to mention - except true rarities. A true raity will bring huge prices regardless of its grade or condition - not because of it. But you back up your comments with examples covering time periods of 8 months and 3 1/2 years. What you fail to note in your research, or perhaps fail to recognize, is exactly when these time periods occurred and to specifically to which coins these numbers apply. In other words - market cycles. Thus these numbers unfailingly lead one to incorrect conclusions. For the coin market, like any market, is cyclical. At one given point in time a given segment of the market will realize gains. Then that segment will cool off and another segment will realize gains. If for example you had chosen another specific time period and conducted the exact same comparisons you would have an entirely different result. What you have also failed to note is that your research has been conducted covering a specific time period which has been limited to a bullish phase in the coin market. This also leads one to incorrect conclusions for it fails to take into consideration which coins appreciate in value during a bearish phase. And then there is one other aspect of your research which is faulty and it is a quite common mistake made by those who propose investment in any area - not just coins. And that is that you presuppose that the past will reflect the future. Nothing could be further from the truth, especially when one bases that supposition on specific and limited time frames. For trends in the coin market can and will change at the drop of a hat. There will be no warning - they just will. It is not my point to criticize nor deride you and your ideas either. It is rather my intention to illustrate that while what you propose may be an accurate and viable idea at a specific point in time, it is no way a viable investment theory over the long run. It is however a very viable theory if one considers it from a different perspective. That being that one "trades" in coins rather than investing in them. In other words - that one become a coin dealer. Thanks for your well thought out response and keeping the dialogue moving forward. If only I could agree with most of your comments. My definition of investment is indeed a mainstream one and falls under the category of "non-traditional tangible asset value investments." That's a mouthful I know, but I think the terms are fairly self explanatory except perhaps "value." A "value" investment is generally one where a stock (in this case coin) is selling for less than its intrisnic value (in this case a coin that appears to be selling below its predicted market price). Typically value investments are held for a long period of time. I recommend that clients hold coin portfolios for a minimum of five years. I do believe that if one is going to invest in rare coins, they should stick with those minted prior to 1933 (with some exceptions) as the surviving populations are fairly well known and prices relatively stable. Such is not true with more modern coins sold as condition rarities. There is nothing worse than watching some guys on a shopping channel hype MS70 or PF70 modern coins for prices that are 2 or 3 times higher than the market. And worse, the population reports for most modern coins only reflect a very small percent of those that survive in lofty condition, thus leading one to believe that they are much rarer than they really are. Once higher prices lead to those coins being slabbed, prices will plummet, leaving investors holding a near empty bag. Of course, some modern coins might be a true condition rarity, but prices tend to be quite volatile and thus are not ones I would put in portfolios for investors. The comments I made about assessing coins over an 8 month (now up to 10 month) and 3/12 year period were simply to demonstrate that lower grade MS coins can and do better than higher grade MS coins. Over longer periods of time higher grade coins may well outperform the lower grade ones. That is an area I will be researching on an ongoing basis. I think the returns I noted may also have been misunderstood or taken out of context. Historically, rare coins have performed at the level of, or exceeded, the returns of equities. Four research studies (including one by me) have verified this. But, as with any investment there are up and down cycles as you note. Although this period may seem like a "bull" market for rare coins, prices still remain about 63% below their all time high in 1989. Does that mean rare coins will eventually return to those levels? No. Does it mean we couldn't soon have a bear market in numismatics? No. Could rare coins reach or exceed the 1989 levels? Yes. As you note, no one can predict the future. If they tell you otherwise, they are lying. Reduced Volatility - Coins tend to have a higher return per unit of risk than most equities and may lower overall investment portfolio volatility. Potential for Higher Returns - Studies conducted over time periods ranging from 25 to 62 years have shown that annual rare coin returns average from about 10% to 13% on a compounded basis (internal rate of return). Correlation to CPI - Three studies (one by me) have found that coin returns tend do better as interst rates rise. My study also found that coins do well during periods of low inflation and deflation. Thus, coins may hedge interest rate sensitive investments such as bonds, bills and annuities. LongTerm Negative Corrleation to Equities - In a study I performed I found a strong negative correlation between the DOW and rare coin returns on a 10-year moving average basis. The unique research my firm has undertaking is to see if coins appear to be mispriced. This effort took more than six months. We were able to successfully identify groups of coins that, as a whole, appear overpriced and underpriced. Can I tell you which specific coins will go up or down in value? No. Can I tell you that a specific group of coins is more likely to go up by a greater amount (or go down by a smaller amount) when compared to other coins in the same series, and to the PCGS3000 index? Yes. Because of this effort it MAY (no guarnatees) be possible for someone investing in rare coins to not only achieve the specific benefits bulleted above, but to achieve a level of returns higher than that of comparable coins from the same series and the coin market as a whole. Hopefully I have clarified that one can indeed invest in coins rather than simply trade in them. But I do provide the caveat that investing in rare coins is NOT for the average investor. Our target market is sophisticated investors (typically those whose investible assets exceed $1mm). We do not telemarket and prefer to work directly through financial professionals who can assess the appropriateness of our rare coin portfolios for their clients. great - never were true words spoken so clear. 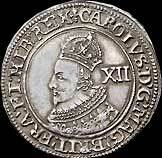 I promote Brittish Coins, I am not a dealer just an interested party to encourage the collecting of coins. www.petitioncrown.com is a non commercial site. i write these these days covering the investment in coins as many buyers write asking what is the investment possibility as other financial tools have failed or failing. GFORCE - I agree with what you are saying. If done right, coins can turn out to be an investment. Some things GDJMSP say are correct, and some I disagree with. I cant see how someone would rather have money in the bank doing 1-2% maybe (while Obama is printing monopoly money) and the dollar is decreasing, than put it into a hard tangible assett. One just must know exactly what to look for in this market, and that is population. And pre-33 gold populations can be re-evaluated as well. For all we know, some old guy could be hoarding thousands of ST Gaudens because he is weary the government will take them away and when he passes and his children cash them in, that could greatly effect that coin. Also, there is a risk in ANY investment, so never once did anyone guarantee anything. If someone ever does, walk away. And yes there are pros and cons to any investment, but if a person can make money off of it, they tend to invest. And coins can be that other avenue in a persons portfolio. Tangible assets should certainly be part of a diversified investment portfolio in this turbulent market. Since last my posting (more than 3 years ago) we have seen a bear market in numismatics, but yet overall values for coins have held compared to where they were three years ago. That's something which can't be said about equity markets. I believe that cash can be an important asset during difficult times as it provides the flexibility to invest in equities or other assets whose prices are highly depressed. Think of buying at the bottom, or close to it. Many people I know believe that inflation will ultimately rear its ugly head, making gold an attractive investment. However, inflation is relative. Of late the dollar has staged a come back which makes gold cheaper. As to "printing money,"our government has been doing it since it started running deficits 2001. Most of it was printed by the previous administration, so there is plenty of blame to go around. Regarding hordes of gold, they do exist and most are in Europe - gold coins were shipped overseas when Roosevelt (in 1933) required that everyone turn in gold coins, except those that had numismatic value. Every month large slugs of those gold coins are shipped from Europe back to the US. The majority are common date $20 Libs and St. Gaudens in low quality uncirculated or AU condition; only a few are investment grade. So I wouldn't worry that the market will collapse due to undiscovered hordes as the market is already absorbing them. Although not impossible, I doubt the government will ever return us to the gold standard. It's not something we would want. You might consider reading The Ascent of Money by Niall Ferguson who cogently explains that it was dependence on gold and silver that constrained economic development for generations and the reasons why we have paper money, stocks and other forms of "money" today. You are spot on that investments come with risks. No one can predict the future. Very intelligent reading if I may say so. I know there is a lot of negative sentiment regarding modern mint issues. Just wondering what you guys think of the 2009 UHR as an investment. And did you buy one? I got one when the pricing was at $1,289 even though it was a difficult decision. I just read a mint blog today that reports the avg. ebay selling price for a raw UHR with box is $1,543. So in the 4 months I have owned the coin there is a potential profit of $250. We are selling that coin in a MS-70 for above 2000 right now. They are very very hard to get your hands on. You are talking about the 2009 UHR Double Eagle, correct? You are correct Cody. I bought raw direct from the mint for $1,289. With cert. and book, and that warehouse of a box. The coin is in a safe deposit box at the bank. But the box it came in is up on my closet shelf. Those hyped up boxes are selling for $50 or more empty. I understand most UHR slab MS69 or 70. And at least one third party gives a PL designation too.